~ Dan Foster is a fiddle player from York, England who specialises in Irish, Scottish and American music. Classically trained in violin study from a young age, Dan also completed his Bachelor of Music (honours) at The International Centre for Music - Newcastle University in 2014 as well as an Erasmus student exchange semester at the Irish World Academy of Music and Dance where he studied under master musicians such as Eileen O'Brien (fiddle) and Derek Hickey (button accordion). Whilst living in Ireland, he met his future wife Courtney Jay TCRG, and he emigrated from England to New England in the Spring of 2015 to build a new family life and a professional music career there. ~ Dan quickly settled into the music communities in America. He made his debut appearance at Carnegie Hall in New York City on June 1st, 2018 where he shared the stage with Irish dancer Niall O'Leary inside the Weill Recital Room. Dan debuted at Collinsville Hot 2016 with Caravan of Thieves - a ﻿nationally recognized﻿ gypsy-folk-swing outfit based in Bridgeport, CT - and was quickly affirmed as a band member for Midwest and Southern tours in 2017 as well as multiple shows around New England into 2018. ~ Dan now tours with his new trio, Daymark, an exciting new Irish music project with fellow musicians Will Woodson (uilleann pipes & flute) and Eric McDonald (guitar & vocals) see https://daymarkmusic.com/bio/ for details on PNW, New England and Mid-Atlantic tours. Furthermore, Dan is in ever-increasing demand for the large Irish Dance competitions (feiseanna) as he has quickly mastered the set dance repertoire for the top levels of competition (Open) in addition to his vast stock of jigs, reels, hornpipes & slip-jigs for all other competition levels. Dan has played for two Mid-Atlantic Regional Oireachtais as well as many feiseanna all over the US and Canada. 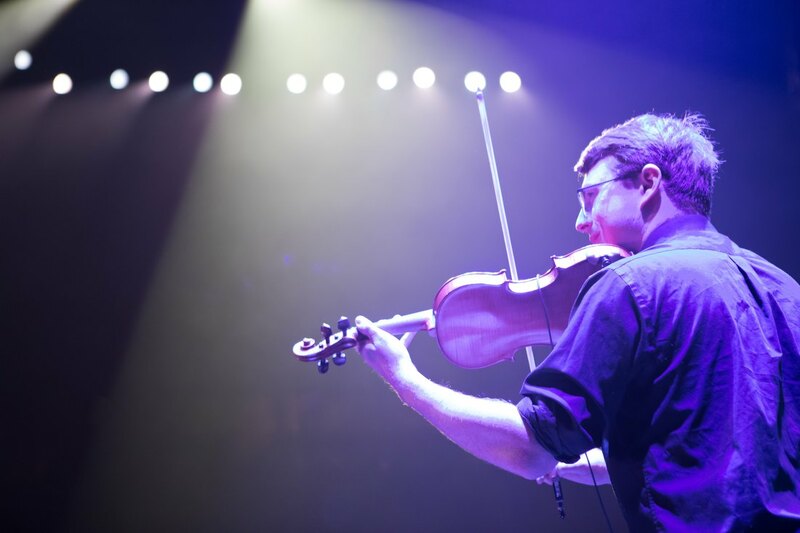 As well as performance commitments, Dan is in high demand for his violin and fiddle instruction services. He is a two-time master artist for the prestigious Southern New England Folk and Traditional Arts Apprenticeship Program having been selected by a panel of folk music experts in 2016 and 2017. He has led a fiddle music ensemble as part of the music faculty at The Hartt Community Division of the University of Hartford. He has taught on numerous occasions for the CT Academy of Irish Music in Wethersfield, CT. He also teaches out of his own studio site in South Windsor, CT as well as being the chief violin tutor at the long-established Downright Music Center in Collinsville CT. In August 2016, Dan was also the fiddle instructor at The Pipers' Gathering in Litchfield, CT, Boston Celtic Music Fest 2018, and Northern Roots 2018. 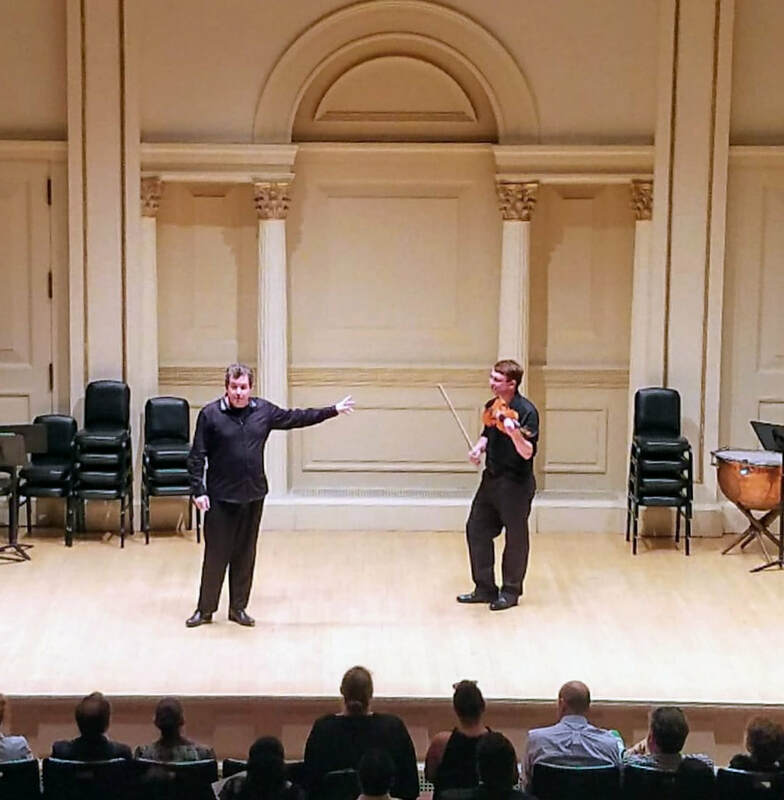 Dan's debut appearance at Carnegie Hall in New York City inside the Weill Recital Room (below).